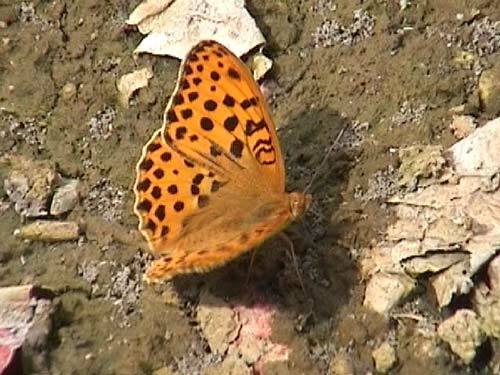 A speciality from Eastern Europe with unique underside hindwing markings. 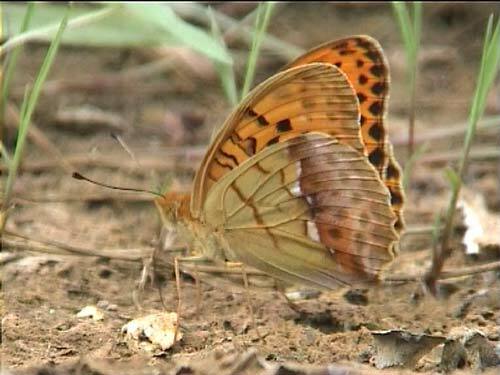 In east Slovakia, we were about to give up looking for this species as we couldn't find much habitat meeting the recognised criteria of open woodland with damp meadows. Plenty of dense forest and farmland though. Then we came across a rubbish dump with unkempt rough flowery ground. Hey presto we found it. 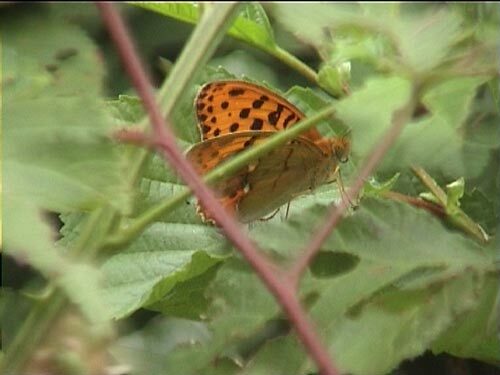 The butterflies were flying across this scrubby area where they frequently settled in the middle of extensive bramble bushes making close approach utterly impossible. Unless feeding on the bramble flowers they would settle for some time on bramble leaves. Two or three butterflies were circling the rubish dump. They were settling to take fluids from the damp ground, presumably the tip added a certain flavour liked by the males. I've got great video footage of a male walking so close to me and my camera that i had to move back from the 12 inches I need to focus! Unfortunately, just after discovering this behaviour the huge and rapidly growing thunder cloud obscured the sun and we didn't see anything else all day. 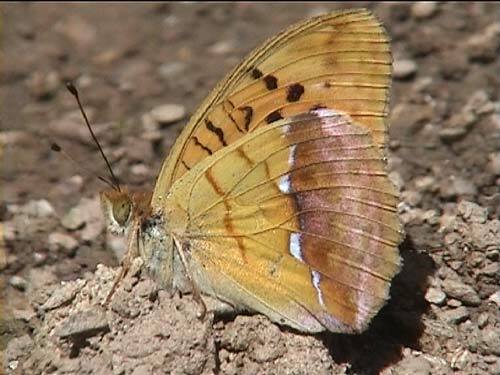 Identification & Similar species: It has a highly distinctive underside hindwing with a pale green basal area, a pale pink sheen over the outer half of the wing and a fine white-blue line between them. Distribution & Flight: It extends only just west of the former Soviet block, into east Poland, east Slovakia and east Romania. Single brooded in July/ August. Habitat & Behaviour: Meadows and open places near woodland. Takes nectar and salts from the ground. The only image I managed away from the rubbish tip. Resting on a bramble leaf as usual.